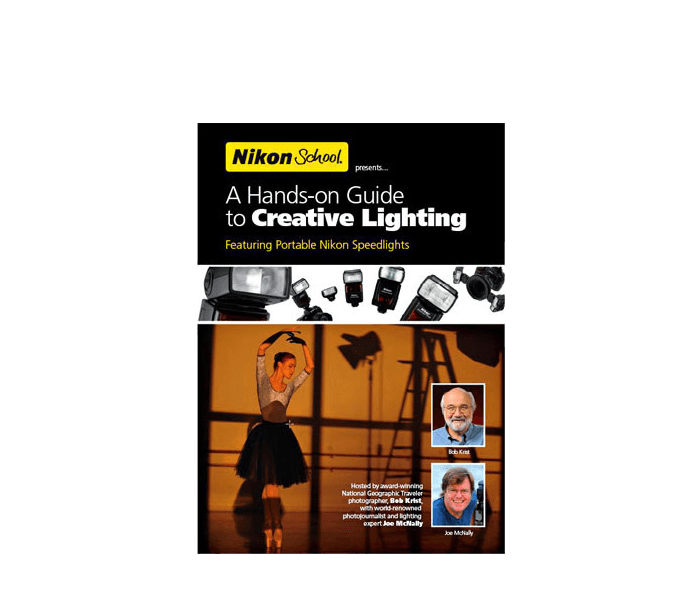 A Hands-on Guide to Creative Lighting is hosted by award-winning National Geographic Traveler photographer, Bob Krist, with world-renowned photojournalist and lighting expert Joe McNally. Subject matter and light are the heart of every photograph and discerning attention to both separates exceptional images from everyday pictures. Learning how to make light work for you with the power and versatility of the Nikon Creative Lighting System, featuring Nikon Speedlights delivers the ability to turn ordinary subjects into something special and elevate striking subjects into stunning works of art. Running time approximately 2-1/2 hours.